In my quest for the Northern Lights, I've made trips to Finland and Norway, and on my Norway trip, I made a little excursion to Sweden too. This turned out to be one of the best side trips as I had one of my best aurora sightings there! 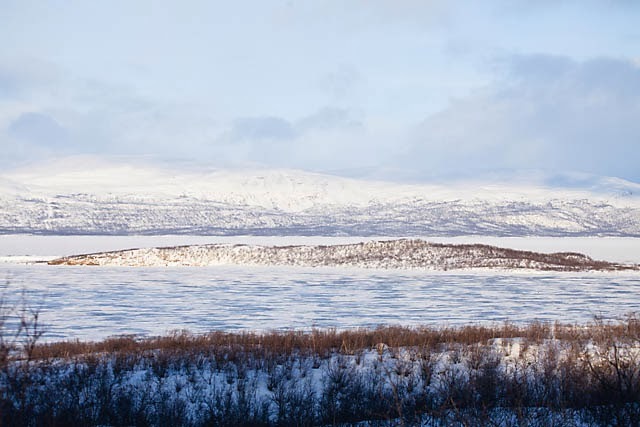 Abisko National Park lies in the Swedish Lapland region and is a popular hiking and trekking area. 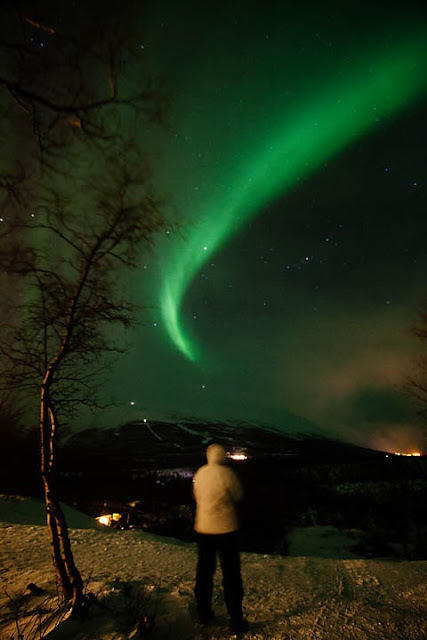 In fact, it is part of the popular 425-km trail known as Kungsleden trail. In winter, it is popular for cross-country ski-ing and other winter sports activities. And being 100+km above the Arctic Circle, and with little light population, it is an excellent place for aurora hunting too! 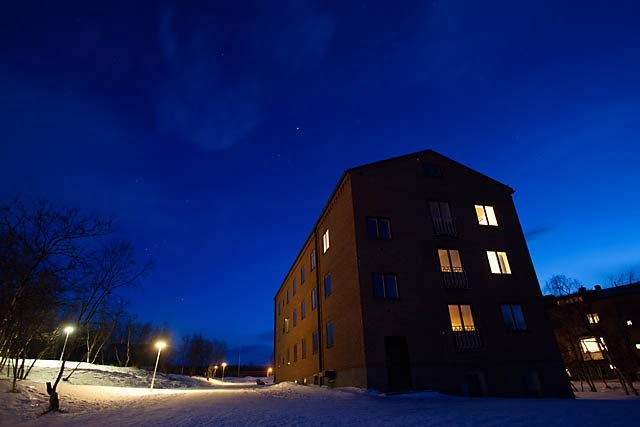 Within the park, there is a village of the same name, and not far from that, a resort/lodge known as Abisko Turiststation. Aside from providing lodging, the park visitor information centre is also here. And the best part? A train station is just 5-min walk away! And the second best part? The lodge also provides hostel dormitories and a self-service kitchen! 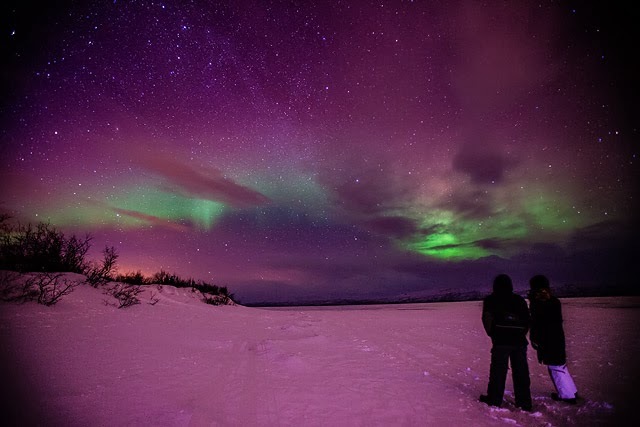 For budget backpackers, this is as good as it gets for a DIY trip for Northern Lights. 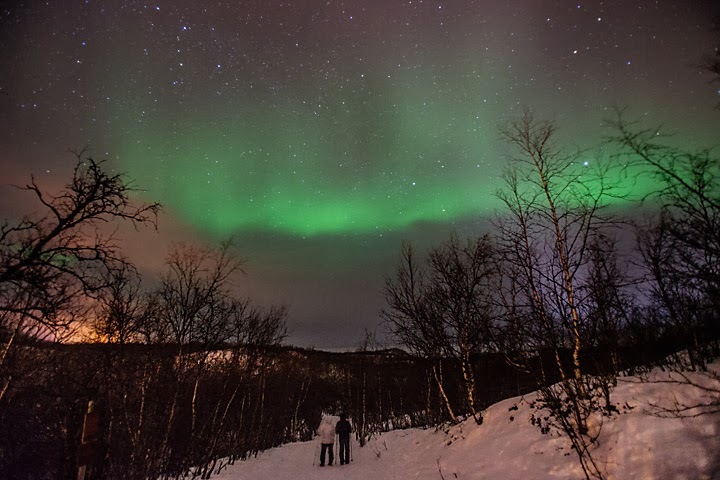 Just 20-min walk away from the lodge, there is a Torneträsk Lake where one can witness the lights. In fact, it just takes a 5-min walk away from the lodge and you would be in a dark enough place to see the phenomena (if it appears ;) ). On one of the 3 nights I was there, I was lucky that the display was so great that I could enjoy the sighting literally just outside the lodge! For those who have quite abit of money to spare, there are professional guiding as well, and there is a ski-lift ride that brings you up the mountain slope for viewing. The views from above would be quite spectacular especially if the aurora turns up! There is a full suite of activities available too, from dog-sledding, snow-shoeing to Sami camp hikes. The restaurant is supposedly very good as well, and all-in-all, it's an excellent tourist spot catered to various budgets! 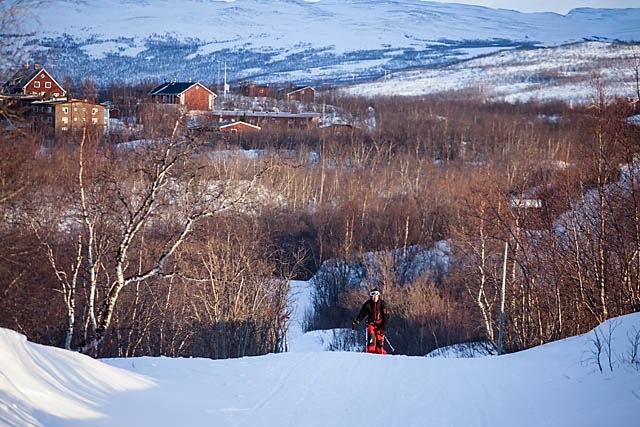 You can easily get to Abisko Turiststation by train from either Kiruna or Narvik in Norway. The train ride itself is spectacularly scenic as well, and I've written about it here. 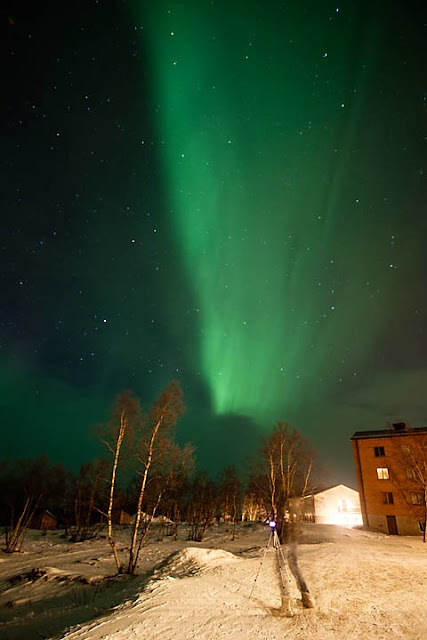 For independent travelers who are adverse to signing on expensive tours, Abisko makes an excellent easy option for Northern Lights hunting. Check it out!